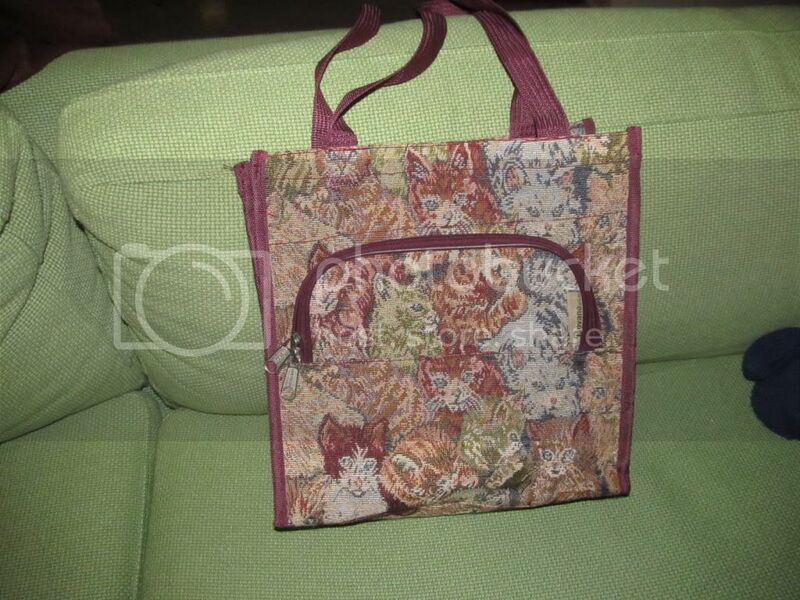 This carpet bag cat purse for only $1 :) There was a beautiful one with horses on it but the purses didn't have prices and I didn't want a huge surprise if they were more then a few dollars each. I might change a few things on it but it's huge and has plenty of space to put my junk it in. I like cats if you couldn't tell. Well I need to finish another paper and then open for work. Hope you all are having a good weekend! Glad you're feeling somewhat better! I too, have not been to well, though thankfully no soar throats and runny noses yet (knock on wood!). Very nice find and kudos to you for not spending more than your set limit! Also, I'm so excited about you being part of the blogparty:) Can't wait to see what you're working on! Just popped over from Simply Melissa Ashley and am SO SO glad I did! LOVING your blog!